All information in this Owner’s Manual is current at the time of publication. However, Hyundai reserves the right to make changes at anytime so that our policy of continual product improvement may be carried out. 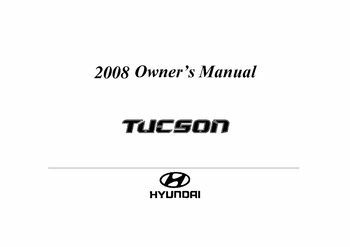 This manual applies to all Hyundai Tucson models and includes descriptions and explanations of optional as well as standardequipment. As a result, you may find material in this manual that does not apply to your specific vehicle.